Mmm, I liked the flavor of this chicken, but I thought it could have been a bit juicier. I did like their bbq sauce though, and the tater tots were killer! 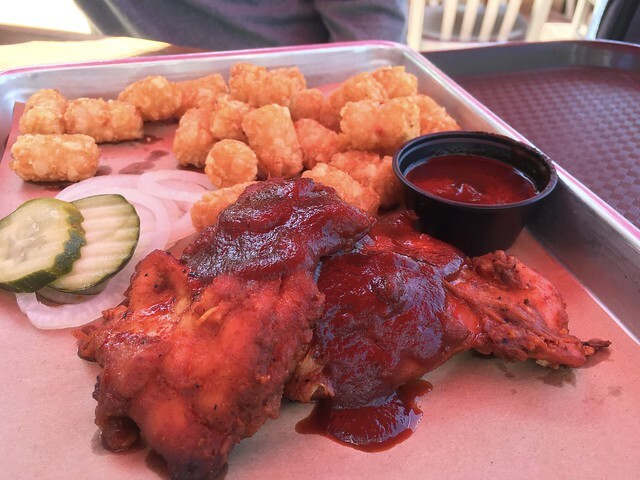 This entry was posted in Armadillo Willy's BBQ and tagged bbq, chicken, food, tatertots by vicentesf. Bookmark the permalink.